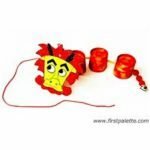 This moveable dragon puppet will provide fodder for hours of imaginative adventures long after he’s been created. 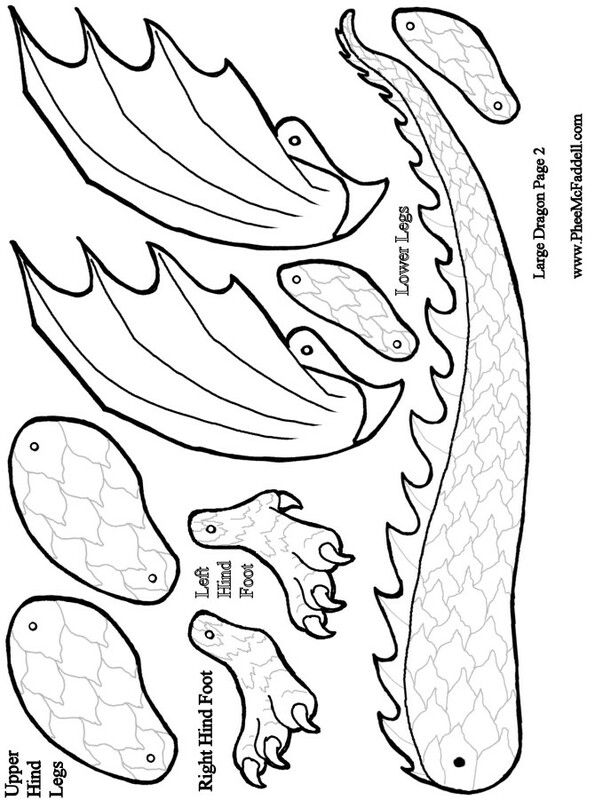 Click on printables and print out the dragon parts. Color if you choose and carefully cut out the parts. 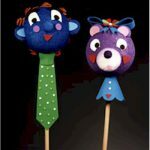 Using the crafting brads, attach the ears to the head. Then assemble all the legs, foot over lower leg, lower leg over upper leg. Place the head behind the neck. The neck behind the body with one leg in back, and the leg with the claw in front. The tail goes behind the body with one leg in back and the leg with the claw in front. One wing in front, one wing behind the body. 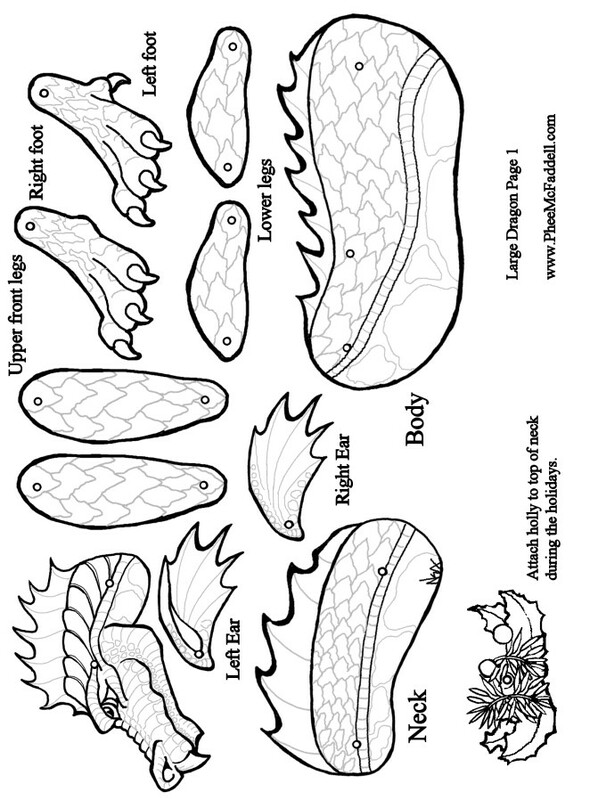 Click on the printables for a diagram with the instructions for easy assembly.